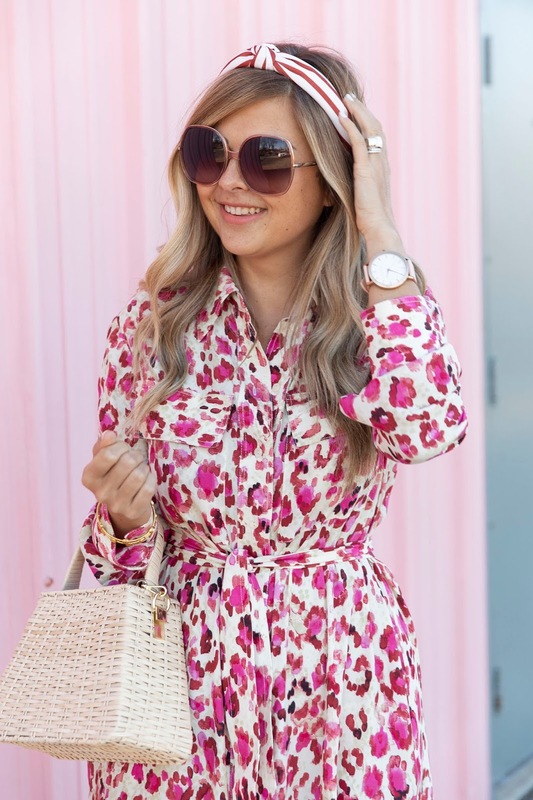 How adorable is the print of this dress? I'll be honest, a pink take on animal print can sometimes feel a little off, but the sophisticated lines of the dress and length made it feel elevated. I'm super in love with how it looks paired with heels but I think gold wrap flat sandals would also make for a chic errand running look on the weekend. Gorgeous dress! The print is fabulous and I really love the bag with it, makes it look more fun and casual.